With Senator Dianne Feinstein’s choice to make public the full transcript of Fusion GPS co-founder Glenn Simpson’s testimony before the Senate Judiciary Committee, the Trump-Russia connection becomes more evident, and criminal wrongdoing more likely. 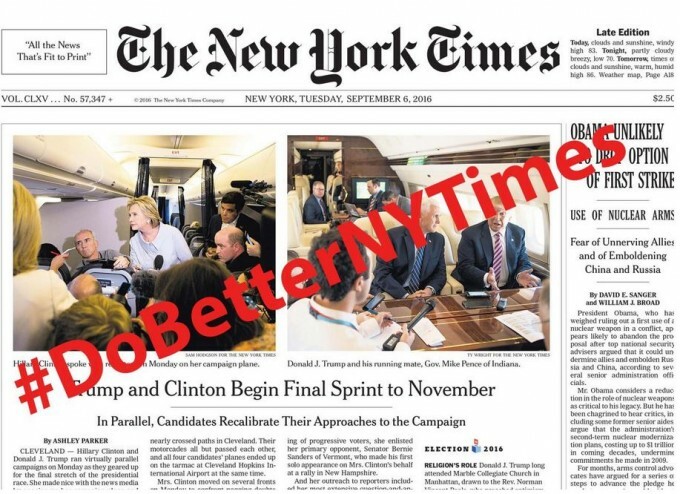 As a result, The New York Times is getting grief on social media for “screwing up” via their false above-the-fold headline that “FBI sees no connection between Russia and Trump” in advance of the 2016 presidential election. Simultaneously, their political desk doubled down on its mission to tank Hillary Clinton’s candidacy, drowning us with stories about nothing-burger emails – which, of course, turned out to be nothing. At what point do we stop saying The New York Times “screwed up” and acknowledge they acted with deliberation. As NYT editors and reporters inform us from imperious perches, they are not hapless stooges. Theirs are the conscious, repeated decisions made by Publishers and Senior Editors. I have long covered The New York Times Vendetta Against Hillary Clinton. Their behavior is only assuaged (and given cover) by an editorial board that has smartly supported her throughout her political career. But how often do they write an endorsement – a couple of times an election cycle? Such support pales next to a political desk with reporters like Maggie Haberman, Amy Chozick, Mike Schmidt and Ken Vogel and columnists like Maureen Dowd and Frank Bruni penning weekly, even daily hit pieces on her. What I find most absurd, particularly in light of the blowback against wealthy, powerful male sexual predators of late (many of whom shaped negative Hillary coverage) is that we are still willing to give the male run institution of The New York Times the benefit of the doubt (“they screwed up”) but many are more than willing to believe political enemies’ bizarre conspiracy theories – the long debunked Uranium One and the preposterous Pizza-Gate to name two along with countless negative personality frames – about an honorable public servant without a second thought. Salem witch trials, anyone? 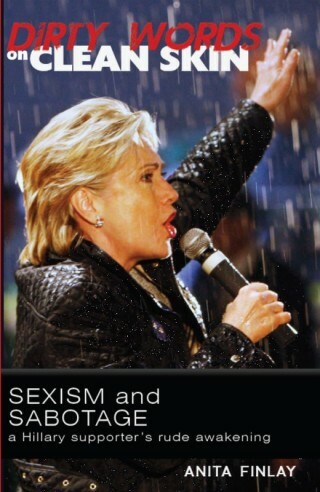 Secretary Clinton has rarely gotten a break from the mainstream press. They’re only nice to her when she’s not running for anything. While nice isn’t required and no one of either Party should ever get a pass, the media’s job is investigative journalism. When misleading headlines, unflattering photographs and cartoons that attach negative affect to a candidate accompany reporting that is blurry or downright misleading, casting a pall over what might otherwise be benign, that problem is no longer just the candidate’s. It’s ours. When Hillary went bold on immigration and criminal justice reform, The New York Times’ Patrick Healy countered his own reporting on her positive actions with the headline:“Hillary Shows a New Willingness to Run a Divisive Campaign.” An embarrassing pictorial tweet by blogger and former Clinton advisor Peter Daou forced a correction: “Hillary Clinton Shows a New Willingness to Tackle Risky Issues.” As Daou notes, Healy’s article found every excuse to frame her negatively (“cold, cautious, scandals-be-damned attitude”) – with no cause. The political desk’s sliming of Secretary Clinton started in the mid-nineties and continues unabated to this day. The New York Times is solely responsible for besmirching its own reputation. Their skewed coverage cost us dearly. If you think this is just about Hillary, think again. These biased tactics work. They will surely be leveled against Senator Kamala Harris should she run for President in 2020. I am loath to tell anyone to “unsubscribe” as NYT still features many fine reporters. My question is, how long do we feed the beast and assume anything is going to change? By continuing to put money in their coffers, your dough equals your “yes”, doesn’t it? As always, a concise, accurate and timely article, Anita. The way I see it is, why can’t the excellent reporters at the NY Times work for another paper? Surely they are aware of the obvious bias from their editors towards Hillary. On principle alone they should leave. Our culture has “winked, nodded and shown a blind eye” towards such ugly, bad male behavior towards women long enough and those reporters who truly care about honest reporting of just the facts, should not want to work for such a paper. It would be a breath of fresh air if these excellent reporters you speak were to leave the NY Times and work for another paper and report on the NY Times bias towards Hillary. The truth is the truth and it’s way past time for Hillary to benefit from honest reporting for a change. Heck, she’s not even asking for the benefit of the doubt because the truth would show just how misogynistic reporting of Hillary has been for the last 25 years. In fact, finally reporting the truth of how Hillary has been so wrongly maligned by the press for 25 years would make a huge difference in changing the culture which has coddled powerful men who have for decades sexually harassed and/or raped women and treated them like pieces of meat like trump, Weinstein, lauer, rose, o’reilly, halperin, (chris Matthews who is still on MSNBC while they took Joan Walsh off) and the list goes on and on…. Such a story from journalist finally vindicating Hillary of all of the false stories which have been written about her these last 25 years and instead, reporting about all of the good works she has done for this country and for people around the world (especially women and girls) would be a story worth reading.